Do you just put your dog's food on the floor when it's meal time and then not think anything more about it? Did you know that having an elevated dog feeder is a quick and easy way for your larger dog to enjoy their meals without having to worry about bloat or other common digestive issues? However, picking out the best elevated dog feeders for large breeds can be difficult because there are hundreds to choose from in different heights and styles, and this is overwhelming at first. 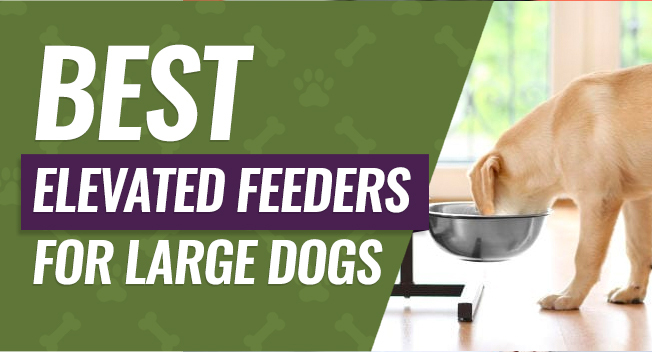 We've rounded up our top five elevated dog feeders for large dogs so you'll be able to compare them, and we also put together a buying guide, so you know exactly what to watch out for when you start to shop. Before you buy an elevated dog feeder, it's important to know why you'd want one for your furry friend in the first place. 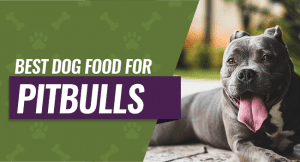 This can help you justify buying one, and you'll get the peace of mind that comes with knowing that your dog is feeling better and happy when they eat. Your dog can start to develop arthritis when they age, and this can make it very difficult and even painful for them to bend down every time they want to eat something. An elevated feeder lets them walk up and sit or stand when they eat without trying to bend down to reach their food. 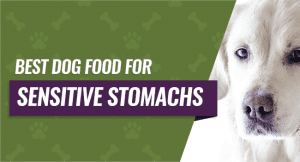 Bloat can be a severe and even life-threatening illness that develops when too much air gets into your dog's stomach and causes blood to stop circulating from your dog's back legs to their heart. Having your dog stand and eat without leaning way down can reduce the amount of air they take in when they eat or drink, and this can reduce their chances of developing bloat. This is a bit controversial still due to the small numbers of studies conducted. Some say elevated feeders can help fight against bloat, while others say it can cause it. Be careful to look and see how easy your new dog feeder is to keep it clean or take it apart for routine cleanings. You want bowls that are easy to remove and toss in the dishwasher, a stand without a lot of small nooks and crannies for food to get stuck in, and something that isn't extremely heavy because you'll lift and move it from time to time. 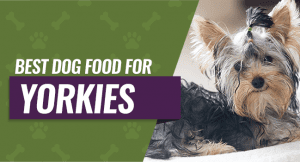 Your dog food can take up a lot of space depending on how much you buy at one time, and keeping it fresh can be a battle that doesn't seem to ever end. Some dog feeders have storage compartments built in that you pour a decent amount of your dog's food in and seal it shut between feeding times to keep it fresh. 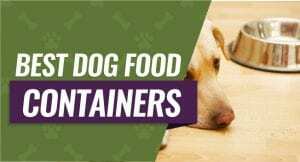 If you need something bigger for storage, check out our guide to air tight dog food containers. Insects and rodents are a problem year-round in some areas, and a dog food bowl on the floor is like ringing a dinner bell and inviting them in to stay and eat as much as they want. Having your dog food off of the floor in an elevated stand makes it more difficult for rodents or insects to get in it and be a nuisance. Larger dogs have to bend down to eat, and this can add a lot of stress and strain to their neck and back muscles because it's not natural for them to stoop down like they do to eat. This can be particularly taxing on your dog if they're older or if they have a problem with arthritis that makes it painful for them to move around or bend. Now that we've touched on why you want to buy an elevated dog feeder, you have to know what to look for when you're shopping to ensure you get a quality product that your dog will love. Unless your dog is fully grown, you want a dog feeder that is going to grow right along with your dog so they can continue to use it throughout their lives. Several quality elevated dog feeds usually have at least two adjustable height settings to make it easy to keep up with your growing dog and keep their food at a good height. Dog food bowls typically come in plastic, powder-coated ceramic, stainless steel, or even designed as a way to slow down the rate at which your dog eats and most people prefer the ceramic or stainless bowls because they're thought to be safer for your dog. Whichever bowls you choose, they should be safe to put in the dishwasher and designed to be resistant to rust and corrosion. Large breeds can be hard on their things, and this is why you want to get a dog feeder that is durable enough to withstand daily use along with one that won't break or crack if your dog runs into it or leans on it. Elevated dog feeders made out of stainless steel or very thick plastic usually stand up to normal wear and tear very well. You can buy elevated dog bowls that are made out of plastic or out of a metal like stainless steel, and many people choose to pay a little more for the stainless steel design because it's resistant to wear and tear, rust, and corrosion. You can use plastic as well, but you do want to make sure that it's food-grade and safe for your dog. Large breed dogs can slide their elevated feeder around when they eat, especially if they're hungry and your feeder isn't set against a wall. Look for a feeder with a non-slip coating on the bottom of the stand because this will help to keep it in place while your dog uses it. Since your new elevated dog feeder is going to hold a water dish along with a food dish, you want it to be extremely stable, so either of these bowls don't spill and make a mess. 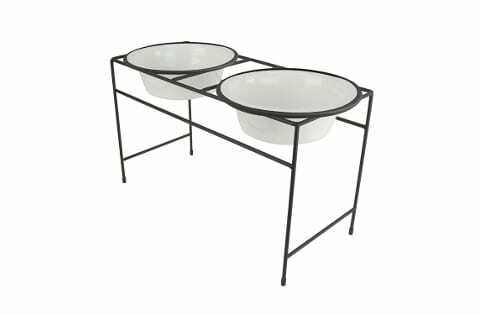 Look for an elevated feeder with a wide stance, strong legs, and a snug fit for the bowls to sit in so they don't slide or rattle around. Although you do want your elevated feeder to have some weight to it to help keep it in place, you don't want it to be so heavy that you find it difficult to pick it up and clean it or move it from one area to the next. Plastic feeders are typically very lightweight while metal feeders can be heavier. Double check the warranty when you purchase your new elevated feeder because you want coverage in case your dog doesn't like it or if it breaks within the first few weeks of use. Some companies offer warranties that are good for a month while others offer warranties that are good for a year or two. This metal large breed dog feeder comes in five different sizes ranging from extra small to extra large, and you get the choice of 19 different colors with safe powder-coated bowls. You'll get a non-toxic and surgical-grade stainless steel construction for added safety, and it's designed to be resistant to chips, scratches, rust, or fading. The lightweight design of this dog feeder makes it very easy to move around or pick up and clean it without having to strain. The bowls have slightly curved lips that can prevent the bowl from rattling when your dog eats, and you can simply pop it into the dishwasher when it comes time to clean it. Dog parents with large dogs who bought this feeder set liked that it was made out of surgical-grade stainless steel with powder-coated bowls for additional safety. However, they didn't like that this feeder had thin metal legs that were prone to falling or bending. This sleek and stylish elevated feeder comes with three color choices including black, pink, or blue, and you can quickly and easily adjust the height to three different settings so it fits your dog's height perfectly. The included stainless steel bowls are resistant to rust and corrosion, and they're very easy to clean as well because they're safe to put in your dishwasher. The legs of this large dog feeder collapse and fold flat quickly and easily with a push of a button so you can store it when your dog isn't using it or for travel purposes, and it has a snug fit around the bowls, so they don't rattle when your dog eats. This feeder's body is made out of a thick and durable plastic that is resistant to breaking or cracking for added durability. Pet parents were happy that they could adjust this feeder to three height settings to allow it to grow with their dog, and they also liked that it's safe to put in the dishwasher. They did notice that the bowls tended to flake off after a few washes, and they weren't happy that it can be difficult to adjust. This dog feeder has small inserts that sink the bowl down into the platform slightly to prevent the food or water from spilling out. It comes in a solid plastic base that has cutouts along the side that make it easy for you to pick up and move the feeder, even when it's full. The legs on this feeder are wider than other designs to give it greater stability when your dog uses it, and you'll get inserts made out of rubber where the food bowls sit in the base to stop it from sliding or rattling around when your dog eats or drinks from it. You get the choice of two color combinations and two different sizes ranging from extra small to extra large. Dog parents really liked that the food bowls sat down in the base to help prevent spilling when their dog ate, and they also liked that it had cutout spots to grab on and move the feeder. Dog parents who bought this feeder weren't happy that the plastic base doesn't withstand a lot of wear and tear. You can adjust this feeder for a height of 4, 8, or 12 inches as your dog grows, and comes with stainless steel food bowls along with an area to place a water bottle so your dog has a constant stream of fresh water on hand whenever they want it. You'll get a wide base that wraps around the stand for more stability, and it also comes with carrying handles cut out. You can choose from two different color combinations when you purchase this dog feeder, and it also comes with slightly deeper bowls so your dog won't be able to make a mess when they eat or come in and get a drink. The space that the bowl sets in is enclosed as well, so you don't have to worry about water trickling down onto the floor under the feeder. Pet parents who tried this feeder for their dog liked that it came with a very sturdy design that allowed them to adjust the stand as their dog grows bigger. They didn't like that it can be challenging to get the water out from under the bowl without tipping the whole thing over. This unique large breed dog feeder comes with a wide lot to add your dog's existing bowl instead of coming with pre-sized bowls, and this feeder comes with non-slip rubber coating on the bottom of the four legs to keep it in place and stable each time your dog uses it. You'll get to choose from three different sizes when you order this dog feeder, and this makes it quick and easy to find the one that is going to suit your dog's height and stop them from bending over when they eat. The metal slats are small enough to stop smaller bowls from slipping through, and they have high enough sides that your dog won't be able to push their bowls out. Dog parents really liked that they could use their own dog bowls when they bought this feeder, and they were also very happy with the non-slip coating on the bottom of the legs. They weren't happy that very large dog bowls don't seem to fit well or that the coating on the metal tends to peel off. Our pick for the best elevated dog feeders for large breeds is the Platinum Pets Modern Double Diner Feeder because it is a metal dog feeder that comes in five different sizes with a non-toxic and surgical-grade metal base that makes it safe for your dog. We were also happy that the lightweight design made it easy to pick it up and move it without any difficulty. Your dog will get to eat out of stainless steel bowls that are resistant to scratching, chipping, or general wear and tear. Finally, we liked that the feeder had curved edges that held the bowls in place and kept them from slipping around.